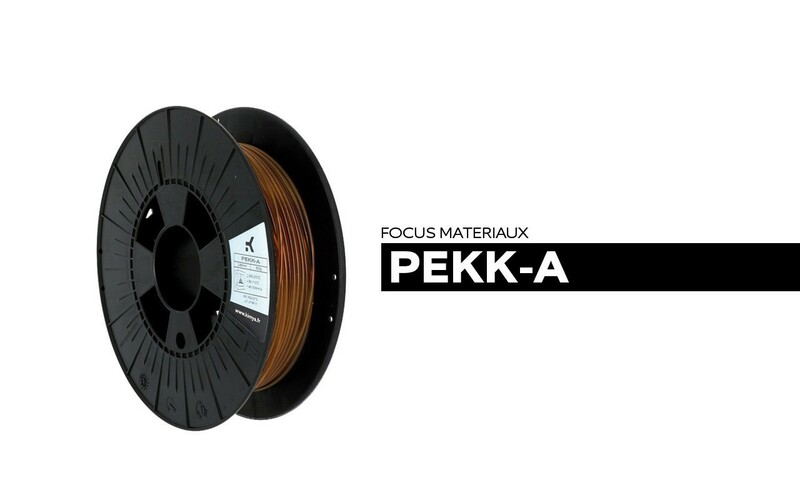 This week we are presenting our new hi-tech 3D printing filament, the PEKK-A. Part of the polyaryletherketone (PAEK) family, it notably offers good mechanical and insulation properties, in addition to high chemical resistance. Info on the main characteristics and printing parameters of our new material! But before presenting the PEKK-A, it is useful to go over the main features of the PAEKs, which are semi-crystalline thermoplastics offering a high level of rigidity, frequently compared to aluminium but 40% lighter. They are materials with high resistance to heat, abrasion and hydrolysis. They also offer good chemical resistance against acids, alkalis and hydrocarbons. However, these materials are expensive and difficult to use. Few FDM 3D printers are compatibles with these filaments. They require a very high extrusion temperature and a heating plate. The two materials provide the same physical-chemical properties. 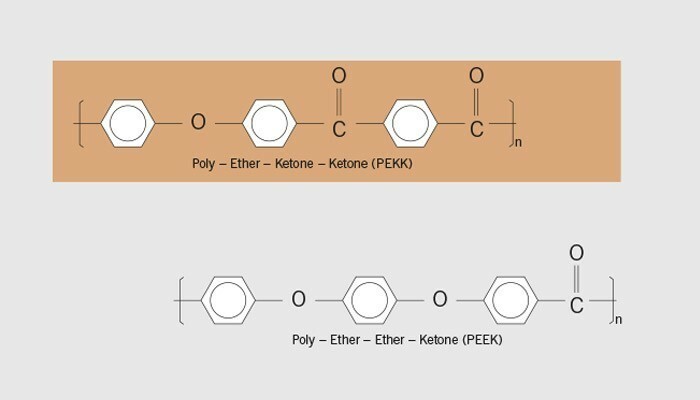 The polyetherketoneketone developed by Kimya offers numerous characteristics including high dielectric rigidity and good insulation properties, making it ideal for applications in electrical fields. The PEKK-A can be printed from 350°C and offers excellent temperature resistance (up to 260°C in a continuous process). This hi-tech filament can also be transformed at lower temperatures than other high performance materials, such as PEI or PEEK. Finally, the PEKK-A provides good chemical resistance and does not degrade in contact with numerous alcohols, acids, hydrocarbons and halogens. However, it is not recommended for use with nitric acid, sulphuric acid or methylene chloride. The PEKK-A is an alternative to aluminium, it is ideal for the aerospace sector which is always looking to save weight. The filament is also highly valued in automotive for the manufacture of gears, gaskets and support rings. Finally, PAEK is widely used in oil & gas for its temperature and pressure resistance. 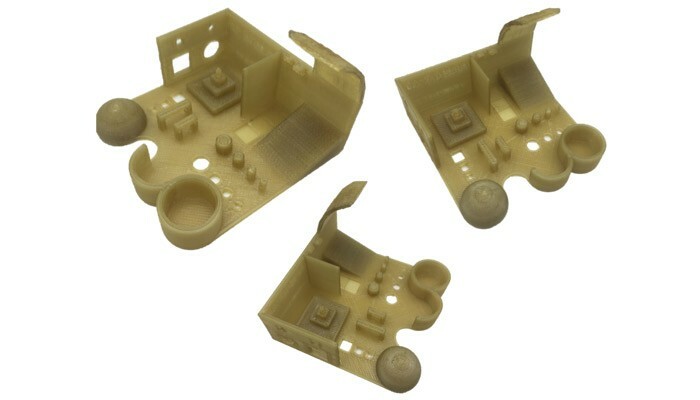 The printing parameters are unique to each 3D printer: we therefore recommend that you carry out a few tests to find the most suitable settings. Please don’t hesitate to contact our sales team if you need any help in making the right choice!